Welcome to FalconForSale.com – the ultimate North American Ford Falcon classifieds resource. This website focuses specifically on the classic 1960-1970 compact car. If you are looking for the Australian Falcon see our Nameplate Review page for more information. Continue reading below for more about this website and how we operate. For a more in-depth background about the Ford Falcon nameplate and manufacturing history see our History page. 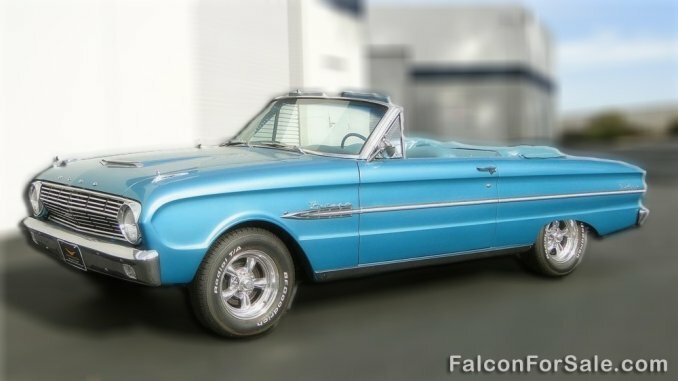 The goal of FalconForSale.com is to be the ultimate online resource and classifieds ad aggregator for the United States and Canada (North American) version of the Ford Falcon. We only display model years from 1960-1970 across the first three Falcon body design generations. We do not include Ford Falcon vans which were produced off the Ford Econoline chassis. If you are looking for these types of vehicles check out the Falcon Category on our Ford Camper site. We display Ford Falcons for sale on this site from a few different sources. Firstly we show ads from sellers that submit their Falcons for sale directly on this site. If you are a seller and would like to see your vehicle listed on this site, please use our Ad Submission page to do so. By doing this we will feature you on our home page and also in our Featured Listings section. In addition to direct seller submissions, in order to give a more complete picture of Falcon marketplace we repost ads from both Craigslist and eBay along with other popular online classifieds. In the cases where we repost ads from other online classifieds, we mark each ad source and also do our best to present the best facts available. At times we are unable to keep these ads completely up to date and sometimes the seller contact information is incorrect or may no longer work. If you happen across an ad where this is the case please let us know by sending us a message on our Contact page. Additionally if you are a seller that would like your personal contact information removed from our site please let us know and we will take it down immediately. One of the key differences between us and other classifieds sites, is that we keep a rolling database of all past and present listings. This allows us to keep a live fair market value calculator for use by both Ford Falcon buyers and sellers. This tool allows both potential buyers and sellers to view listing prices of various condition Ford Falcons across different regions, alternating body styles, trims, features, etc. Once we are made aware that a particular Falcon has been sold we do our best to mark the listing as SOLD and remove the sellers contact information. However from time to time we do not do this timely enough or omit doing it for an ad all together. This can particularly be an issue for ads reposted from Craigslist. If you see one of our ad sources marked as such please take that into account when contacting the seller. Please also note our “last updated” field at the top of all our ads to give you a better idea of how current the information is. Simply because an ad is a few week or months old does not mean the Falcon is sold, however it is a good indicator if you have trouble reaching the seller. If you come across an ad incorrectly marked please do not hesitate to contact us.